Posted by bobv451 in fantasy, iPad, movies & TV, writing. Last time I told some of my experience with a movie novelization. Doing novelizations of video games might seem the same but I found distinct differences. Matthew Stover was originally signed to do the novelization of the Sony video game God of War. Matt had medical problems and wasn’t able to work full-time on it. Deadlines loomed. The book was slated to get out near the release of the second video game. I was asked to ghost write the book but ended up doing a large enough portion that I got front cover credit. I had Matt’s outline and a couple dozen pages of the “cut scenes” from the game. This was new territory for me and I built a story around those scenes. Oops, not right. It had to follow the actual video game more closely. The problem with this is a video game is almost entirely action. Fight, solve a mystery, use a clue and fight some more until the conclusion. This makes for a dull book although it makes for a great video game. I had just gotten an iPad and found that any number of people had put their entire solved games onto YouTube. Running a few seconds gave me the look of the scene, not to mention solutions to the hidden clues and deciphered codes. I am a terrible gamer and would still be on the first screen if I had to play the game before writing the book. The video solutions were exactly what I needed. But simply describing action is boring. I had to throw in some connecting material and did this through the interaction of the gods and goddesses that wasn’t in the game itself–but was implied. But adhering too much to the action and not enough to this background story gave GoW1 a stilted feel. I was asked to do God of War 2 and more successfully balanced a backstory of godly (and goddessly) conniving and backstabbing politics with swordplay. Again I used the YouTube videos (thank you, “Raven van Helsing”) and saw how to give less action and more story. This melding of the two made for a book that kept interest for diehard fans of the game as well as showing them a bigger fantasy world to explain what’s going on. 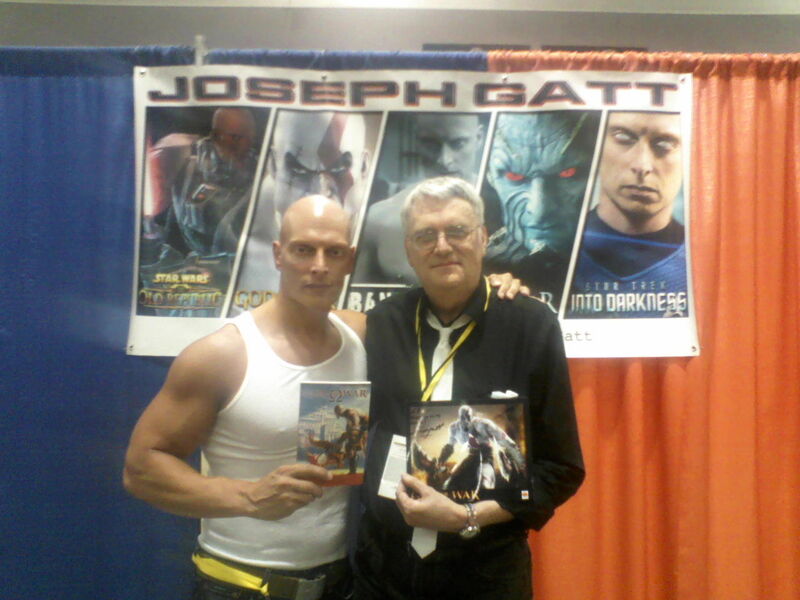 A picture taken at the 2013 Albuquerque Comic Expo – Joe Gatt is the one on the left, if you needed such info. Posted by bobv451 in fantasy, history, iPad, movies, movies & TV, outlaws, sci-fi, science fiction, Texas, westerns, Wild West, writing. Or maybe Thurn and Taxis, if you are a Crying of Lot 49 fan. But therns. I saw the supposedly awful John Carter movie again on Monday. 2D this time, a better look for the movie (the colors die in 3D, it appears). I say “supposedly awful” because that is a critics’ opinion, not mine. I liked it even more the second time. I might even try for a 3rd view before it leaves the big screen, or as big a screen as the $1 movie theater has. This is a movie that deserves to be seen in IMAX. The look of the movie is good, the pacing is off, taking too long to get moving, but the plot is heroic fantasy and the sfx are lovely. (That adjective can be applied to Dejah Thoris, too). Taylor Kitsch (what a name!) might not have been my pick for the John Carter role, but he does fine. I even liked Woola a lot more this time around. The reworking of the original book plot makes it into a stronger movie–face it, a 100+ years makes astral projection kinda clunky. Go for that Stargate! An entertaining movie which comes out in Blu-ray today (or soon–I don’t have a Blu-ray so don’t pay close attention). I’ve heard that there will be an iPhone/iPad app that will add to the experience. No idea what it is but this pushes the connection of home theaters and iPads a bit closer together. Also of note are the new westerns. History Channel did Hatfields and McCoys starring Kevin Costner and Bill Pullman. I enjoyed the first 4 hrs or so but began to tire of the repitition in the final 2 hours. All this killing over a pig. Sort of like the War of Jenkins Ear. Lots of background to what sounded like a trivial reason to go to war. Better is A&E’s Longmire. A modern day western with cowboys and sheep herders and Indians and six-gun totin’ marshals set in Wyoming, or maybe Montana. The pilot was a bit contrived, making me think the bad guy would never have been caught if he hadn’t used an antique rifle and instead relied on a .30-06 but the show has promise. I’ll tune in again. Posted by bobv451 in autographing, business, charity, conventions, fantasy, iPad, steampunk, writing. Thanks to Mike Stackpole for letting me sit in for him again (even though he was there) at his office hours last night. But the title of this blog is things done twice. I will be reading in Second Life (second time in 2 days) tonight for Relay For Life. Which is the second time I have participated. Come by at 6PM SLT for my reading of a short story, “Memory of Wind.” Maybe even contribute a few pennies for cancer research. In response to my “Strategy and Tactics” blogpost of a few days ago, I received this from Copyblogger. Sonia Simon has written an article on “the difference between ‘work’ and work that moves you toward your goals. '” Good stuff in the article and in general on Copyblogger. For some reason the term “sprocket watch” keeps rattling around in my head. Sounds rather steampunkish. Might just be in anticipation of Steve Sullivan posting his entry into Empires of Steam and Rust–this will be passage two. Also my second gig at Albuquerque Comic Expo is coming up fast. Get your tickets now! Posted by bobv451 in business, contest, e-books, End of the World, iPad, New Mexico, outlaws, sci-fi, science fiction, Second Life, VIPub, weather, westerns, Wild West, writing. No specific theme today but a lot of tidbits that have accumulated during the past few days. It’s been a busy time for me. The last science fair judging of the year is past and, as before, the Manzano Day School kids had some great projects. This was the year when high tech really kicked in. One budding scientist had a video (taken underwater!) showing the effect of drag on swimmers. Another surveyed cooking pans to find which baked the best chocolate chip cookies (I told her bribing the judges with the cookies would have worked well–didn’t really matter. She did a good job. I didn’t know the high-end cooking pans were dual layer with air between. And yes, they seemed to cook the most evenly.) Analysis on the cookies included using a cellphone gizmo to evaluate color which correlated with even cooking. Amazing. These were 4th and 5th graders. A couple days ago I got a surprising call from my agent. Last year Berkley decided the Slocum Giant books weren’t selling and eliminated the annual book. My last royalty statement was extraordinary. And I have a new Slocum Giant to do ASAP for likely publication in November. Working title: Slocum and the Silver City Harlot. Others in Western Fictioneers have commented on improved royalties for their westerns. If you live long enough, the wheel always spins back to you. Do love those westerns. I also love my sf. 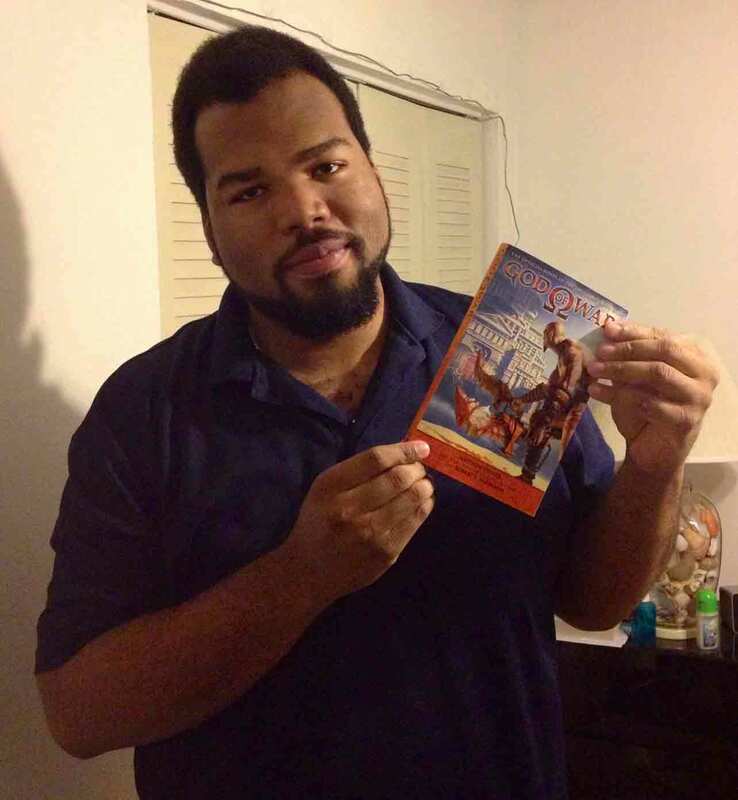 Check out this review of Moonlight in the Meg from Virgil Kelberwitz of Second Life fame. His reaction to the protagonist not being named until late in the book is interesting. Final Blackout used this technique to even better purpose, I think. Best use of the techniquye–ever–was in The Prisoner. As you know by now, I didn’t win the $650m Megamillions lottery (I did win $2, though. BFD) However, someone who did win something of both worth and usefulness is Terri D, the winner of a Kindle Fire in Scott Gamboe’s contest. A great prize and I’ll try to get Scott to do a guest blog here on how the contest helped his numbers on Amazon. Check out another Scott’s new blog. Scott Phillips is now doing a daily blog. Very funny stuff. And touches on a lot of nostalgia. If you remember 8-tracks and hate spiders and…well, read it for yourself. Rattle and Blast. After 30 years I have stopped receiving a daily newspaper. The $200/yr was a factor but realizing I can get all the news and features on my iPad convinced me to save a tree and cancel the Abq Journal. Their national news is always 2 or 3 days late and local news tends more toward pet adoptions now. I will miss the Trever cartoon on Sundays, but he used to do more and is mostly retired. Having lunch with John on occasion will have to suffice. I am not sure how many new blogs will be done in the next couple weeks since I am heading over into Tornado Alley. Trust me, I want nothing more than to get back to this keyboard in sunny, dry, twister-free Abq as soon as possible. Posted by bobv451 in business, contest, conventions, fantasy, Free, iPad. I sit at my computer listening to 50mph wind with 65+ gusts and see snow blowing parallel with the ground. And I worry I won’t be able to convince Southwest Airlines to take off and get me to Phoenix this afternoon. In addition, there is the solar storm hitting us now. But the solar storm had nothing to do with downing powerlines just a half mile from me. Luckily, my power is on so I can recharge my cell phone and iPad for the trip. Saturday Mike Stackpole and I will be autographing at the Ren Faire. Come on out if you’re in the Phoenix area and talk a while. Even if you’re not in the region, get there, come out and etc. I’m not sure what titles of mine will be available (got to keep a bit of suspense in such things, right?). The store is near the entrance/exit for the jousting arena. Dinner with Don Juan and Miguel tomorrow night is on the schedule. Clearing the decks of other stuff. Scott Phillips says the second part of his Pete, Drinker of Blood is ready to go real soon now. Let me mention again Stephen D Sullivan’s Elf Princess of Mars and that Scott Gamboe has extended his “win a Kindle Fire” contest until All Thieves Day (ok, tax day).